Huge news today out of FlorhamPark! The Jets are putting the finishing touches on a trade that would send a 4th round draft choice to the Denver Broncos in exchange for QB Tim Tebow. 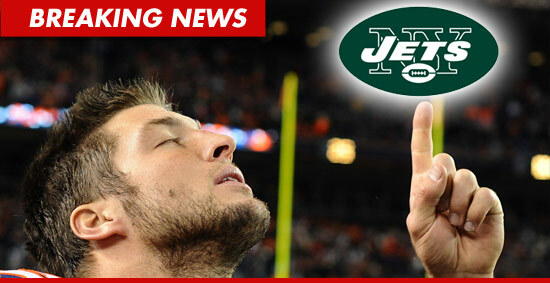 While I am not a huge Tim Tebow fan I think that this is a good move for the Jets. 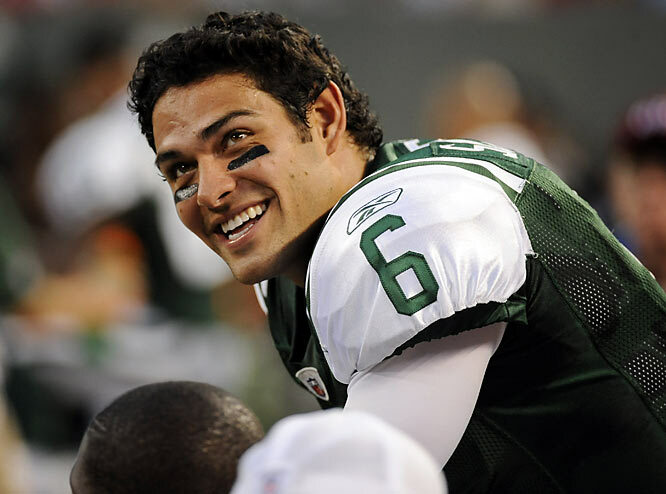 First, the acquisition of Tebow gives the Jets and Mark Sanchez, in particular, something they have both needed which is a credible backup. Up until now Sanchez has not had to watch his back. Now he does. Competition is a good thing and the arrival of Tebow should spark some healthy QB competition during training. Also, Tebow was renowned for his work ethic and character which could and hopefully will rub off on his teammates. Second, Tebow give the Jets offense new options. When Brad Smith was still a Jets he would from time to time be brought in to run the “Wildcat” offense which is favored by both Rex Ryan and new Offensive Coordinator Tony Sparano. When Smith left to sign with Buffalo the Jets lost this ability. Tebow reopens and most likely expands their options in this area. It also give opposing defenses something to think about knowing that the Jets could bring in Tebow with his unorthodox style at any point during the game. Third, the acquisitiuon of Tim Tebow is a much needed addition of character and class to a locker room which RB LaDainian Tomlinson called “one of the most dysfunctional” he ever saw. Don’t get me wrong not every player needs to be an angel (after all this is football not tidily winks) but there has to be a balance. In seasons past the Jets had players like Leon Washington, Alan Faneca and , my favorite, Tony Richardson. These were all class guys and solid citizens. Tebows presence will hopefully restore some of that. Not to mention his reputation as a “winner”. Lastly, do not take any of what you just read as a lack of confidence in Mark Sanchez. Mark is and still should be the incumbent and I firmly believe everything I wrote in my earlier piece. I merely think that this is a good fit, it gives the team enhanced flexibility and can only make the Jets better for this coming season. The Rangers missed the playoffs and are going nowhere fast. The Mess (I mean Mets) are 4-7; not much hope there. So its time to think about my other cause of frequent heartache…the J-E-T-S JETS! It only mid-April but it’s already time for football. Since the NFL draft is this week I thought I would devote the next 250 words (or so) to my Jets. I’ve often said that you learn very early on as a Jets fan that it is never their year. Yet in spite of myself I find myself looking forward to the 2010 season with growing expectation. They have improved on an already good defense with the addition of Antonio Cromartie, Brodney Poole and may add six-time Pro Bowler Jason Taylor. With the return of Kris Jenkins and the continued emergence of Darrelle Revis the Jets have the makings of (dare I say it) a Super Bowl winning defense. On offense they have given Mark Sanchez another target to throw to in Santonio Holmes and added perennial Pro Bowler LaDainian Tomlinson to compliment Shonn Greene and a returning Leon Washington at running back. They have also brought back my man veteran Tony Richardson aka T-Rich to add leadership and blocking ability. If they can add a veteran backup at QB it would add needed depth. To that end, there are rumors that the Jets are considering bringing in veteran Mark Brunell. There are always question marks, however. Tomlinson seems to clearly be on the “back nine” of his career coming off two lackluster seasons with San Diego. Can he fill the shoes of Thomas Jones who was the team’s workhorse at running back? There is the chance that Shonn Greene will be the featured back and Tomlinson will be relegated to a secondary role. Whichever is the case it is clear that the Jets need a strong running game until such time as Sanchez proves that he can win games with this arm alone. Furthermore, with the additions of Cromartie and Holmes the Jets are adding two players with checkered pasts. Holmes will already miss the first four games of the season for violating the leagues substance abuse policy. It will be interesting how Coach Ryan handles his growing rogues gallery. Lastly, the defection of kicker Jay Feely to Arizona leaves a gaping hole for Special Teams Coach Mike Westhoff to fill. Despite all this two things are clear Rex Ryan has clearly put his stamp on this team, even more so than last year. This team will have attitude and will be most likely be one of the most hated in the league. It is also clear that from a professional sports standpoint they are all I have. I am going to try and not get too excited but it’s getting kind of tough! J-E-T-S…..JETS!